These interviews seem to be from circa 1987. 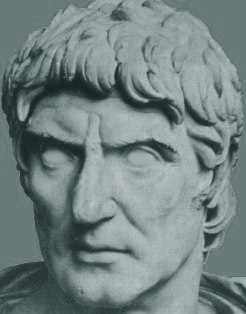 Lucius Cornelius Sulla was born in 138 B.C., at the beginning of the Roman Republic’s last, strife-wracked century. Sulla was the last man to make a practical attempt to salvage the Republic his patrician forefathers had founded four centuries before him. His career reflects the grandeur and the horrors of the desperate struggle which brought about Rome’s gradual transformation from a city-state of free White men into a colossal empire in which tyrants ruled over half-breeds and slaves. Sulla’s family was of the Roman aristocracy of blood, the patricians, who had formed Rome’s governing class from its earliest days and who . . .
Continue reading Last Bulwark of the Roman Republic . . .